The killing of U.S. Ambassador Chris Stevens in 2012 ignited a political firestorm about how well the U.S. protects its personnel, from diplomats to soldiers, serving in dangerous environments abroad. 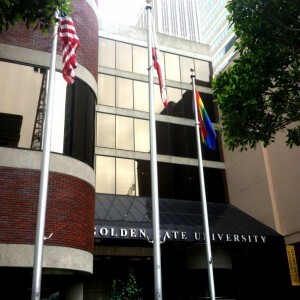 At Golden Gate University’s law school, it was the genesis of a different movement: supporting veterans who had already completed their military service. 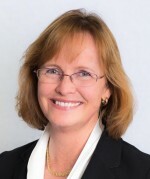 The effort begun by Dean Rachel Van Cleave led to the creation of the Veterans Legal Advocacy Center, which brings together a variety of programs to assist veterans pursuing careers in the law and now includes a clinic in which students help veterans obtain health benefits they’re unable to get on their own. The impetus for Van Cleave came shortly after she became interim dean at Golden Gate Law, when she was asked to speak at a memorial for Stevens, the ambassador to Libya killed in attacks on U.S. sites in Benghazi. After the vigil at the University of California-Hastings, where Van Cleave and Stephens had attended law school and become friends, she heard two students, both veterans, talking about how others at the school didn’t seem to understand them. She offered to help, though at the time she wasn’t sure how she could. In the weeks afterward, Van Cleave, who was appointed dean full-time in December 2012, met with student veterans and veterans’ advocates to seek their ideas on ways the law school could help. 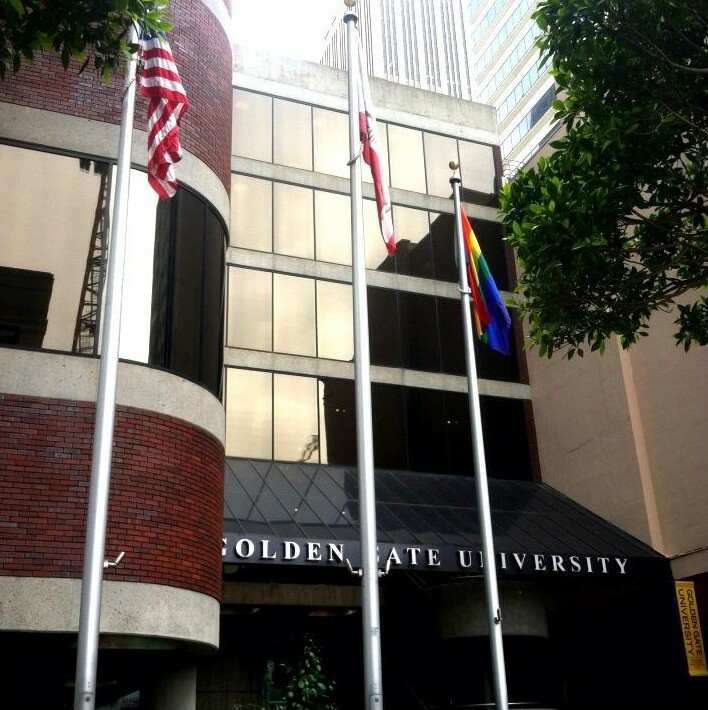 Since then, Golden Gate has begun offering full tuition for qualified veterans through its Yellow Ribbon program. In 2013, the school teamed with the Law Student Veterans Coalition of Northern California to host a veterans’ law conference and began an externship program, in which four law students each semester helped veterans negotiate Department of Veterans Affairs requirements to obtain health-care services. Starting in the new semester, which began in August, the externship became a clinical course and has been expanded to nine students with a maximum enrollment of 12, said Dan Devoy, the attorney and Army veteran who supervises the program. Open to second- and third-year students, the clinic is accompanied by a lecture course on the benefits available to military veterans and applicable law, he said. It’s one of at least a dozen clinics that Golden Gate offers to students, who are required under a new American Bar Association rule to earn at least six credit hours toward their juris doctorate degrees from courses offering hands-on experience. “We help veterans get benefits that have been denied to them or those who just don’t know how to obtain them,” Devoy explained in a telephone interview. Golden Gate’s program is similar in style to the Puller Clinic at William & Mary Law School, which was the first in the U.S. to be certified as a national “best practice” program and focuses on veterans whose disability claims were denied by their regional offices. Law school programs that assist veterans have gained increased attention amid criticism over lengthy wait times at Veterans Affairs hospitals and a hefty backlog of disability claims that helped prompt the resignation of Veterans Affairs Secretary Eric Shinseki in May. U.S. Sens. Mark Warner and Tim Kaine, both Democrats of Virginia, backed a proviso in the veterans affairs spending bill, which was being developed at the same time, urging the department to take advantage of assistance from clinics that help former military personnel navigate the disability claims process. That bill was sent to the full Senate from the Appropriations Committee in late May, but senators failed to act on it, despite the urging of Committee Chairwoman Barbara Mikulski, D-Maryland, that they do so before their August vacation. As of Aug. 23, about 49 percent of the 546,000 pending disability claims nationwide handled by the Department of Veterans Affairs had been waiting for a decision for more than four months, according to the Veterans Affairs website. That’s a slight improvement since May, when it was more than half. Devoy’s own experience in the military gave him insight into helping veterans facing such delays. It’s a service he began offering on a pro bono basis as a partner at San Francisco-based Jones & Devoy even before he began working with programs at Golden Gate, where he earned his law degree. Providing every student at Golden Gate Law an opportunity to help a veteran is Van Cleave’s ultimate goal, a mission she discussed at William & Mary’s conference on veterans clinics in Washington, D.C., in April. She said that she hopes to raise as much as $500,000 during the next three to five years to expand the legal services that Golden Gate’s veterans center offers and to provide more robust staffing. Already, the center is collaborating with the Veterans Affairs office in San Francisco and organizations such as OneJustice, the National Lawyers Guild, the Law Students Veterans Coalition and the National Guard Association of California to help provide comprehensive legal services for veterans. Marylou Poli, an Army veteran and third-year student at Golden Gate Law, took the school’s benefits course last year and was able to assist a Vietnam War veteran suffering post-traumatic stress disorder. When she and her partner, Ken Breiten, were assigned the case, the Veterans Affairs Department had not yet denied the man’s claim but appeared likely to do so. Together, they walked their client through the process, gathered details of his experience in Vietnam, ensured his application met the agency’s standards then submitted the materials electronically. The VA ruled in the soldier’s favor before the end of the semester. “If he hadn’t had an attorney get on the issue, his claim would have been denied, which changes the whole scope of things for what kind of help and how much time it takes to get the problem resolved,” said Poli, who was stationed in Grafenwoehr, Germany, during a three-year active duty stint that began in 2008. In addition to helping veterans, the clinic gives students hands-on experience in a highly specialized field of law, said Breiten, who retired from the Army as a lieutenant colonel, also in 2008. It’s a field in which Poli wants to specialize, but she realizes the challenge of supporting herself with cases that would be largely pro bono and is weighing additional specialties that would provide financial security. Before leaving active duty in 2011, Poli spent about a year completing the bureaucratic steps required to ensure her own educational and other benefits, a process she said is much easier while still in the military. Many of her comrades, however, left without doing so. “When you leave the military and you haven’t gone through the process to get into the VA system, then trying to go back and get in later is very difficult,” which is part of the reason for the large claims backlog that exists today, Poli said. That’s what Van Cleave wants as well. She’s working with other Northern California law deans to open Golden Gate’s classroom program on veterans law to students at those schools, potentially helping expand clinics by attracting more supervising attorneys. “Getting the training with us would then help them in getting some lawyers on board,” since the students would be starting with some knowledge of the field, she said. “It’s meeting the interests of these students I’ve gotten to know, it’s serving the community, and I think it’s a nice model of law school collaboration at a time when things are challenging for legal education and the legal profession,” Van Cleave said. Contact James Langford at (646) 722-2624 or james@lawdragon.com.